Professional Information:We can quick clean-up and remove water and offer total restoration repair services, restoring your house to pre loss circumstances. Knowing the best method to dry out wet carpet and walls fast helps check mould damage. 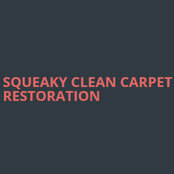 Squeaky Clean Carpet Restoration’s Flood Damage Restoration Melbourne team is totally qualified carpet restoration cleaners. We hold certification in carpet restoration services to make sure our clients get the top results.